Last week, baby Isabella had her "cukur jambul" (fringe-cutting) ceremony, which is a traditional Malay celebration for a newborn baby. The "cukur jambul" ceremony is marked with a thanksgiving dinner or "Aqiqah". A goat is also slaughtered and the meat divided and distributed to the poor, to friends and to the family. The highlight of the ceremony is when the baby is passed from one person to another to be sprinkled with holy water and "bunga rampai" (an assortment of finely sliced fragrant flowers and leaves) and a lock of hair will be cut by each person. The occasion went well and Isabella looked like a little princess in her dress! I'm glad that she had her little ceremony before leaving for UK, which will be in 10 days! I know I'm going to miss my bundle of joy very much when she leaves. There is absolutely no way I'd be able to endure 3 whole years without seeing her cuteness growing up, which is why I've been busy checking out hotels and vacation packages to London. The last time I visited London was many moons ago, when my younger sister was studying there. It would be great to visit London again. It would also make a nice second honeymoon for me and B! Cheaper Than Hotels is currently offering awesome deals for Hotels in London, Hotels in Manchester and Hotels in Birmingham. The Radisson SAS Portman Hotel for instance has a 4-5 star accommodation offered at special discount rates from GBP194. 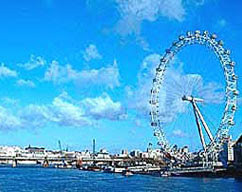 Located in the heart of London's fashionable West End, it is only 19 kilometres from the City Airport. This lovely hotel will serve our sight-seeing purpose well as it is within close proximity to some of the city's major landmarks including the glitzy Knightsbridge, Bond Street or Oxford Street, Buckingham Palace, Houses of Parliament and Madame Tussauds. 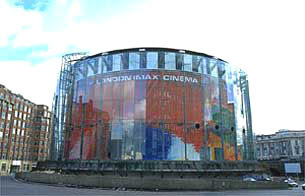 Besides my usual shopping, I'm also planning to visit several cool attractions in London such as the BFI London IMAX Cinema, which features the biggest cinema screen in UK at more than 20 metres high and 26 metres wide. I dare say it would be the ultimate film watching experience for me! Another must-not-miss visit for me would be the British Airways London Eye, which is the world's largest observation wheel that offers you a breathtaking view of over 55 of London's most famous landmarks! The thought of visiting baby Isabella in UK and sight-seeing in London does make it easier to say goodbye to my darling niece. All I have to do now is save up enough money for our trip! Until my next post, enjoy the pictures and don't forget to start planning your 2008 vacation too! I'm also going to miss the wonderful snaps u post every now & then of isabella. Jean!! So nice to see u here today YAY! GP.. holy water tu air apa? heheh..ohh Isabella looked so cute all dolled up like that!...really like a princess.... having girls are so much more fun eh.. can play dress up!..Dah lama i tak attend one of these ceremony.. must attend the next time my relatives have one of these in SG..
We have some candies and cookies for her too. Want her to enjoy all the yummy goodies we have for her before she heads for UK and enjoy the yummy goodies there! Hehehe. Yay, thank u to all the aunties and uncles at NAFA Sg. Isabella loves her chocs remember? Hugs from Isabella for Nafa!! Lovely Isabella... she really look like a little princess sitting comfortably on that velvet comfy looking bed....awwww... who wouldn't miss such a sweetie pie... 3 yrs is a long time!!! Nafa! Yeah, 25 lovely perfumes, that was when I first discovered I like Escada perfume lolz... I arrived on Boxing Day, so there were major sales everywhere. Got a huge portion of the perfumes from Harrods woo hooo!!! Oh now u're making me feel like going on a major perfume shopping spree! Hi Marzie, thanks for the visit. Enjoy your weekend too! Isabella is very cute! London is a nice place. Enjoy your trip! Hey MT! Thanks for coming by, always a pleasure to see u here. heheheh GP... working on it lahh... heheh.. are you?? hehehhe..lolzz..
You have a very cute baby. She is very lovely. Anyway, she didn't look much different after the "hair cut"... only the significant ppl like immediate family and close relatives cut off her hair, and it was just a bit, not much! Love the flowers on her head GP!! Aiyyoo this one gonna grow up to be heartbreaker I tell you!! Did you all cut syarat jer or botak terus eh?? Dari kecik dah comel, dah besar mesti cun melecun! She looks so cute! I love her cute smile. Hehe..
My Aunt told me that the girls are now getting prettier and prettier.. and I totally agree! Marzie! Did you get to ride in The Eye On Msia? I have! Syok giler!! lol, i was planning to ask the same question, lj! lj, i wouldn't dare! i ni penakut giler! pernah naik ship yang ayun2 kiri kanan tu, turun2 je terus muntah! me is the very the motion sickeness! ingat2 ni pun dah nak termuntah!